Summers in the San Diego area are known for being hot and humid, especially in inland areas such as El Cajon and Alpine. Leaving your home and heading to an indoor, heavily air conditioned public space such as a mall or movie theater are common suggestions to beat the heat. These tips don’t help you to enjoy the summer in the comfort of your own home, however. Here are three ways to keep your home cool this summer so you don’t have to flee the house. The outdoor air cools off significantly during the night. You can take advantage of this to help keep your home cool during the day. Open all the windows in your house each night to allow the cool night air inside; in the morning, close all the windows and the shades to trap the cool air inside and prevent warming sunlight from entering and heating it up again. This has the added bonus of also keeping you comfortable while you sleep! 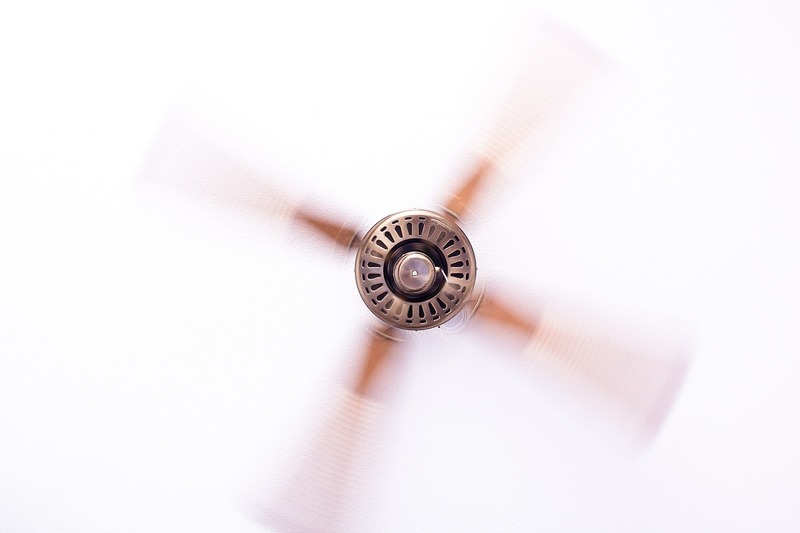 A ceiling room fan or table-top fan can provide great relief from the heat, albeit only in a small area of your home. Fans work by helping to speed the evaporation of perspiration and carrying heat away from your skin. It is therefore worth noting that a fan only cools people; it cannot alter the actual air temperature of the room. Turn off fans when no one is in the room to avoid wasting electricity. Of course, the quickest and easiest way to chill down your home is to turn on the air conditioning. Your air conditioner will provide a more comfortable environment than either trapping cold air indoors or using a fan because it is the only home cooling method that also reduces humidity. You’ll also have more control over your home’s temperature when using your air conditioner. In order to reduce energy consumption and lower your cooling bill, the Department of Energy recommends setting your thermostat at 78°F when you are at home in the summer and even warmer when you are away. Precision Temperature’s certified HVAC technicians can help prepare your air conditioning system to keep you comfortable all summer long. Give us a call today at (619) 588-5321 for any of your home cooling needs! People are spending more time than ever indoors. The quality of the indoor air you breathe is therefore extremely important to your health. Poor air quality can contribute to health problems including asthma and other respiratory diseases, heart disease, and even some cancers. Just short-term exposure can lead to immediate effects such as eye, nose, and throat irritation, dizziness, headaches, and fatigue. But what causes indoor air pollution, and how can you reduce it in your home or office? Below we discuss some common sources of indoor air pollution and three ways you can improve indoor air quality. Indoor air pollution can come from a multitude of sources. These can include: outdoor air pollution that is brought indoors; radon; household cleaning and maintenance products; fuel-burning appliances; building materials; home furnishings; personal care products; moisture; tobacco products; and central heating and cooling systems. Which of these indoor air pollution sources are most and least important to your health depend on how much pollution each source contributes and how harmful each pollutant is, as well as the frequency of pollutant emission. Preventing indoor air pollution in the first place or reducing the levels of pollutant emissions is often the most effective, cheapest way to improve indoor air quality. This can be done by eliminating the pollutant source, such as tobacco products; physically enclosing the source, such as those containing asbestos; or maintaining and adjusting the source to reduce emissions, such as in the case of gas stoves. Pollutants can accumulate to unsafe levels if too little fresh air enters indoors from outside. 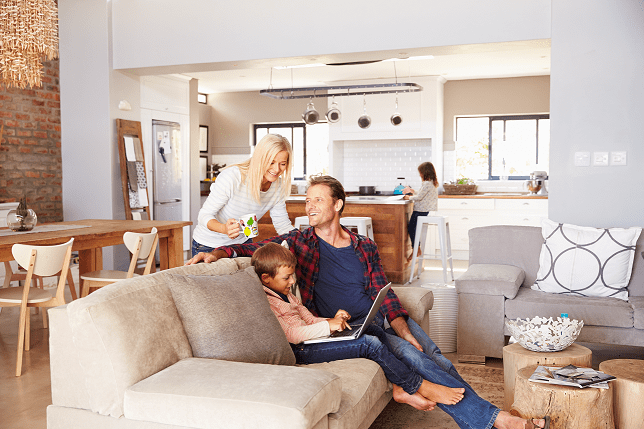 While reducing the amount of air that leaks into and out of your home can help lower heating and cooling costs, a controlled means of ventilation is then needed to prevent high levels of indoor air pollution. Most heating and cooling systems do not bring fresh air into the building. Natural ventilation via opening doors or windows or mechanical ventilation involving fans and outdoor air intakes helps remove indoor airborne pollutants, improving indoor air quality. Air scrubbers are mechanical systems that remove particles from the air. They may use physical filters or UV lights, or even a combination of the two. How effective an air scrubber is at removing indoor air pollutants depends on how efficiently it removes pollutants from the air, how much air it draws in, and the strength of the pollutant source. While not all indoor air pollutants can be combated using an air scrubber, air scrubbers can help improve indoor air quality. Without proper attention to indoor air quality, the air you likely spend much of your day breathing in might be creating serious health problems. Take action by controlling the source of indoor pollutants, increasing ventilation, and investing in an air scrubber. Precision Temperature’s knowledgeable technicians can answer any questions you have about improving indoor air quality in your San Diego home. Give us a call today at (619) 588-5321!